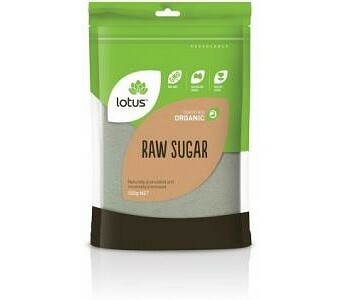 Lotus Organic Raw Sugar is naturally granulated and minimally processed. Ingredients: Organic Raw Cane Sugar. Certified Organic by ACO.